3,158 others viewed this post. The Christmas Tree Nebula, including the Cone Nebula, vaguely looks like a christmas tree I suppose! 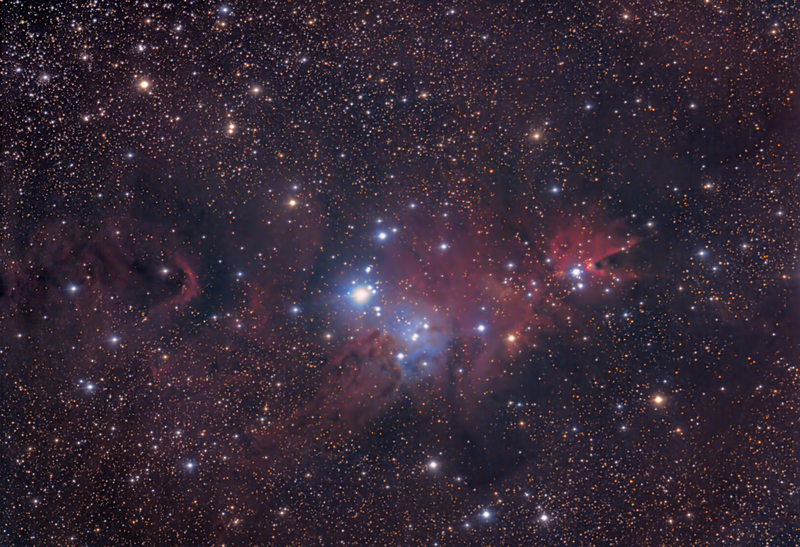 It certainly is a colourful cluster (NGC2264) with both reflection and emission showing blue and red clouds respectively. This is taken in broadband mono + one shot RGB over two nights for a true colour / natural view as the human eye would see it – if our human eyes weren’t so weak and pitiful. Celestron RASA, QHY9 + QHY12 CCDs, CGX Mount. 20 x 1m mono + 28 x 90s RGB. All us eastern Australians are a little bleary eyed today after several days amazing astrophotography weather with no moon and very clear skies.